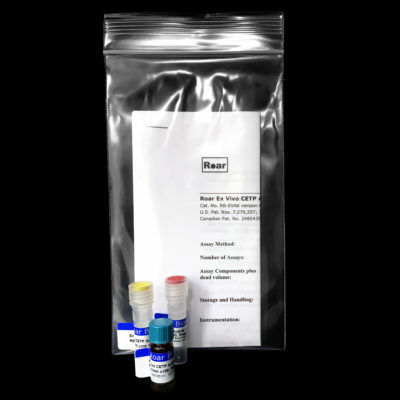 Description Homogeneous, fluorometric assay kit useful for measuring cholesteryl ester transfer protein (CETP) activity in human plasma and other species that express CETP. 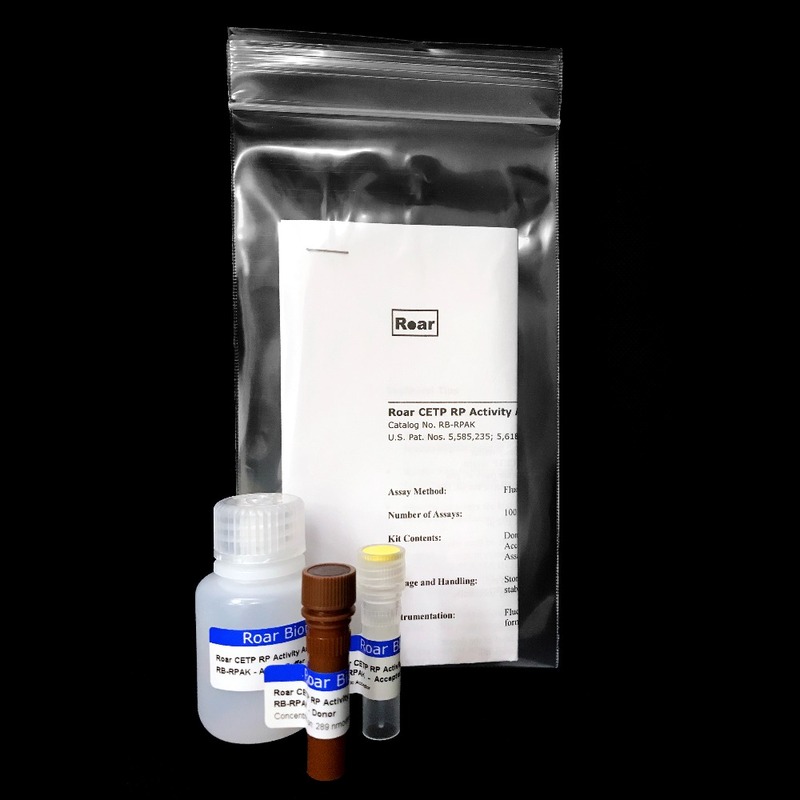 Applications for the assay include evaluating non-reversible or reversible inhibitors on plasma CETP activity. The assay is not affected by changes in HDL concentration or other endogenous lipoproteins. 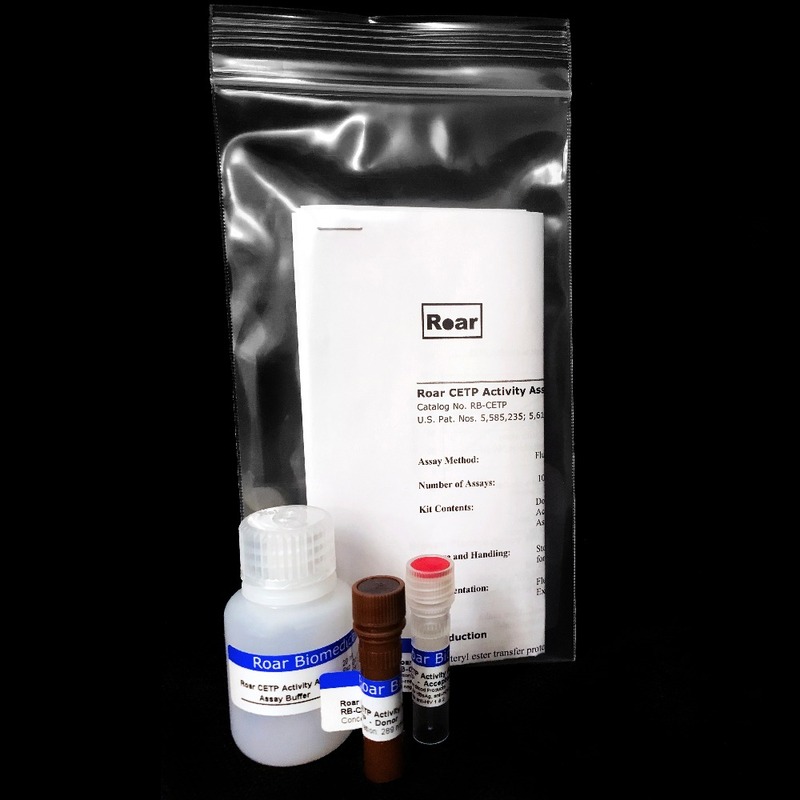 The Roar Ex Vivo CETP Activity Assay provides a specially formulated donor and acceptor that retain stability in the presence of high plasma protein concentration. 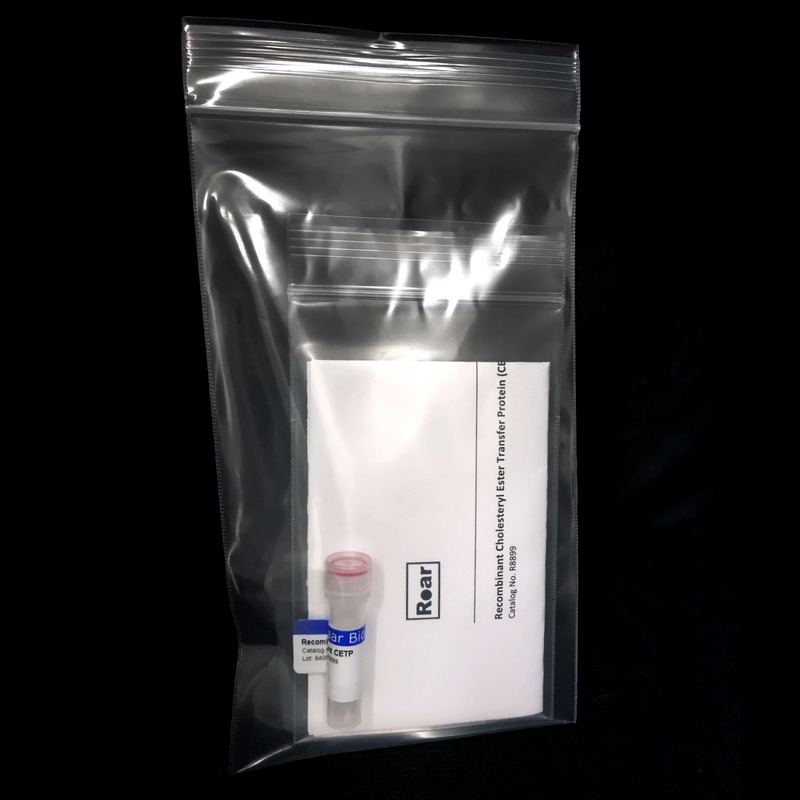 This assay has been extensively validated and is currently used in sponsored human clinical trials. Patent No. This product is the subject of U.S. Pat. Nos. 7,279,297; 7,642,065, European Pat. No. 1492880, Japanese Pat. No. 4339702 and Canadian Pat. No. 2480439 and other patents pending owned by Roar Biomedical, Inc.